Acclaimed, grammy-winning music producer Rick Rubin was honored Thursday February 27th, 2014 by the David Lynch Foundation for a ‘Lifetime of Harmony’ in Los Angeles, California. A dedicated transcendental meditator for decades, Rick has been responsible for bringing an expansive range of musicians–such as Kanye West, Adele, LL Cool J, Beastie Boys, Lana Del Rey, Audioslave, Weezer and many others–to the limelight by creating albums that have marked inroads in their artistic careers. 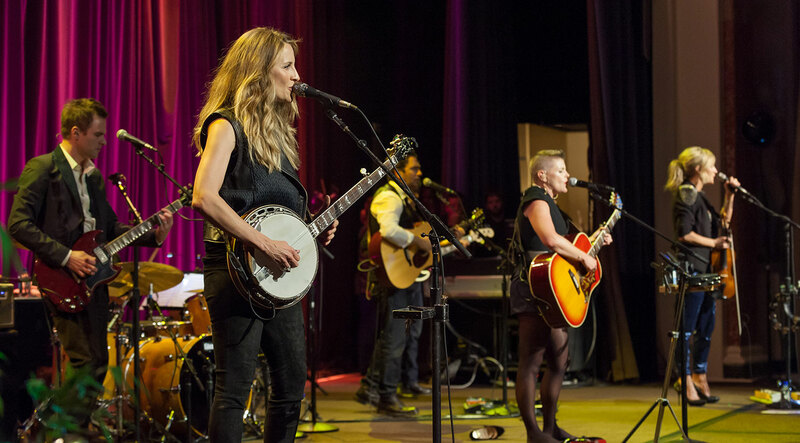 Headliners for the evening included The Dixie Chicks, who reunited for the first time in three years for this special evening, alongside singer-song writers Damien Rice and Jake Bugg. Rick received his award from longtime friend and co-founder of Def Jam Records, Russell Simmons. As part of the award celebration, many of Rick’s close colleagues in the music industry shared video homages honoring his life and career. Funds from the evening will help expand the TM Quiet Time program to additional schools in the Los Angeles area.